With the Coleman Party Stacker-Inchs unique stackable, color-coded design, you-Inchll want more than one for parties, tailgating, BBQs and more. 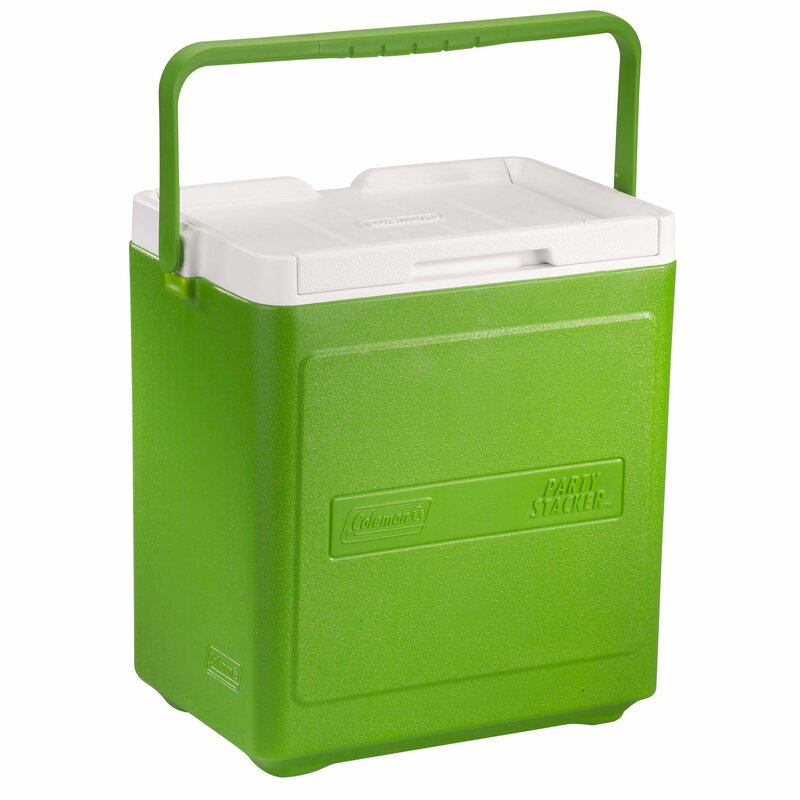 The Party Stacker features a clever interlocking base and lid, so you can stack multiple coolers with no slipping or sliding -- great for easy transporting and tidy storage. The Party Stackers come in four great colors, so you can separate drinks or dishes by cooler color. The 18-Quart Party Stacker accommodates 20 twelve-ounce cans or 12 bottles, plus ice -- and it-Inchs tall enough to store 2-liter bottles and wine bottles upright. The Party Stacker features a bail handle for comfortable lifting and carrying. Two 18-Quart Party Stackers fit securely on top of a larger 24-Quart or 33-Quart Party Stacker. Exterior measures 15-InchL x 10.625-InchW x 15.375-InchH. Made in the USA.